Telford-based global workplace solutions company Lyreco is throwing its weight behind the BBC’s Children in Need campaign for the 16th year running. The company’s Donnington Wood headquarters will once again be used as a call centre for the November 16th appeal – handling thousands of calls from big-hearted people from around the country. And the company is also staging fundraising events of its own to help boost the appeal’s coffers – and supporting the campaign to give Broseley youngster Zac Oliver lifesaving treatment at the same time. Louise Hoffman, marketing and communications manager at Lyreco, said the company was delighted to be helping out with Children in Need again. “We will have 50+ team members who have all volunteered to man the phones on the night, many of whom will bring their own families in to make it a really special occasion. 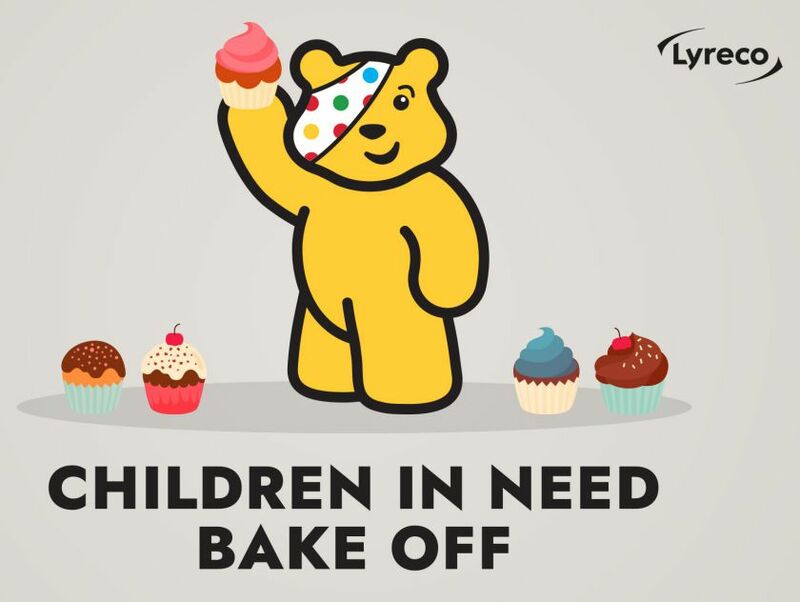 “We are also staging a Children in Need bake off throughout the week leading up to the big day, culminating in a showstopper challenge on November 16th itself which will pit teams of bakers from our various departments against each other. The company is also staging a sponsored walk this Saturday (November 10th) to raise money for both Children in Need and the Zac Oliver appeal, as part of its involvement with Telford’s 50th birthday celebrations. Louise said: “As part of the town’s 50th birthday celebrations, a new 50 mile trail has been created, connecting existing footpaths and rights of way, taking in many of Telford's green open spaces and part of which goes right past our offices. “The trail we're walking is 7.7 miles long, starting in Lilleshall and finishing in Telford Town Park, and is a great opportunity for a fun family day out, all whilst raising lots of money for charity. A special football match between staff from the company’s National Distribution Centre and head office is also being staged on Sunday November 11th to further boost the Children in Need appeal. The match will be hosted at Oakengates Leisure Centre with a 2pm kick off. It will be followed by refreshments at St Georges SSC at full time.